I thought this line spoken toward the end of the new documentary, Far From the Tree, perfectly encapsulated the meaning and message of the film. This line is spoken by Andrew Solomon’s father during a speech at Andrew’s wedding in 2009 to long time partner John Habich. Andrew grew up knowing he was gay but was often depressed due to parental and societal pressure and disapprovement, spending years torturing himself trying to be someone he wasn’t. Andrew went on to become an acclaimed author, publishing his first book in 1993, and continued writing for The New York Times Magazine for several years after. 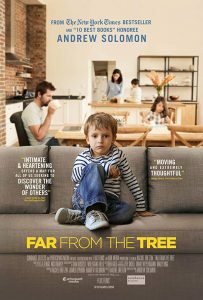 Eventually, Andrew would spend the better part of ten years researching families and how they accommodate to raising children with disabilities before eventually writing and publishing the book that this documentary is based on, Far from the Tree: Parents, Children, and the Search for Identity, in 2012. There are a number of individuals director Rachel Dretzin introduces us to in this film that have overcome the hardest challenges life had thrown at them, with Andrew’s story kind of bring the bridge between all of them. First we meet Jason Kingsley, a 43 year old man who’s made the best of his life while living with Down syndrome. Following begins the story of Jack, a child born with a severe case of autism and the trials and tribulations of his family when trying to work through it with him. Next is Lioni, a 23 year old girl looking for a partner but feels her dwarfism is holding her back. 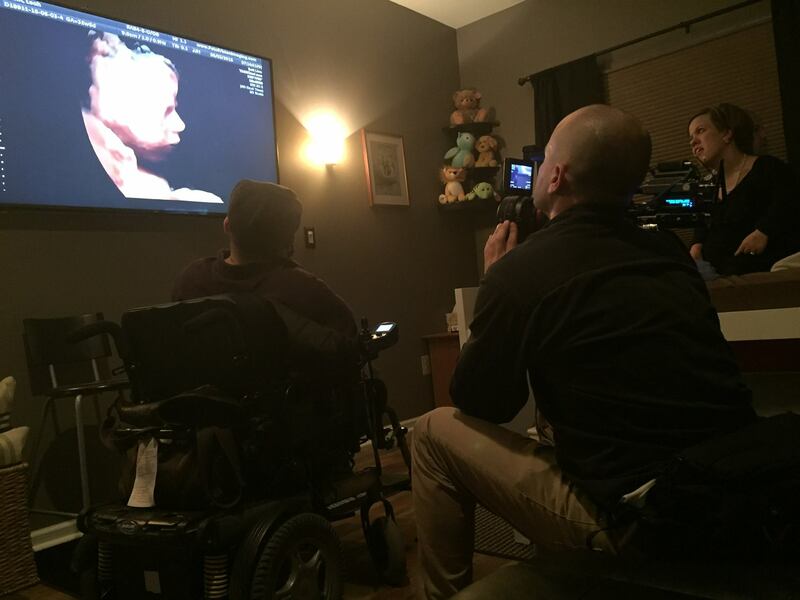 Through Lioni’s story, we get a change of pace when meeting the incredibly upbeat and in love couple of Leah and Joe (also affected by dwarfism) who are happy together, but having medical difficulties with pregnancy. Finally, there’s the family of Trevor, a 16 year old boy whom we never meet because he’s spending life in prison for a heinous crime he committed. The testimonials from the subjects, as well as the parents, will play the strings of your heart like a fiddle. I was already fighting back tears within the first half hour of the film. 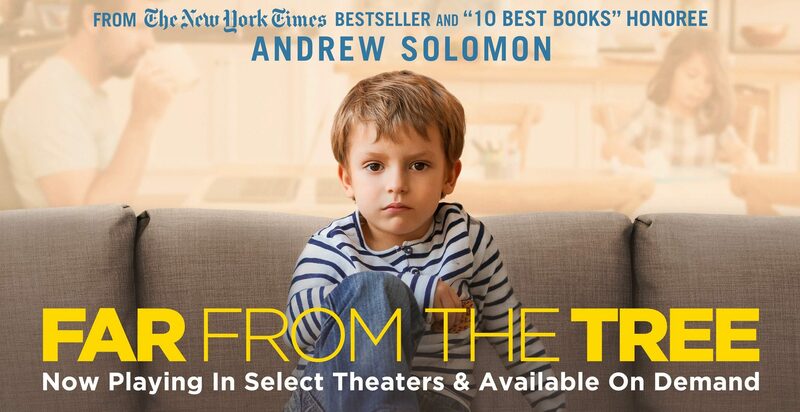 The subjects of this documentary are all remarkable, but the compassion and undying determination and love from their parents add a whole other layer to the emotional impact of the film. Jason’s parents defied all odds and taught him to read and write and live a somewhat normal life, despite doctors telling them he never would. Jack’s story was the one that hit me the most. The testimonials from his parents (whose names are sadly never displayed for the viewer, nor anyone else’s for that matter) are so heartbreaking at first that you can’t help but feel the pains they’ve endured. What I wish the film did better was display the names of who the viewer is watching or listening to. We get a quick title card for each new story (Jason, Jack, Lioni, etc), but never the names of their parents who give their testimonials and are very much a pivotal piece of the story. In Trevor’s story, we never actually meet him but we hear his entire story through the words of his mother and father who remained nameless throughout his entire section of the film. I also found the editing to be a bit a bit jarring at least once near the beginning of the film when it transitioned from Andrew talking about his tortured past to Jack being born before realizing they were two entirely different stories. 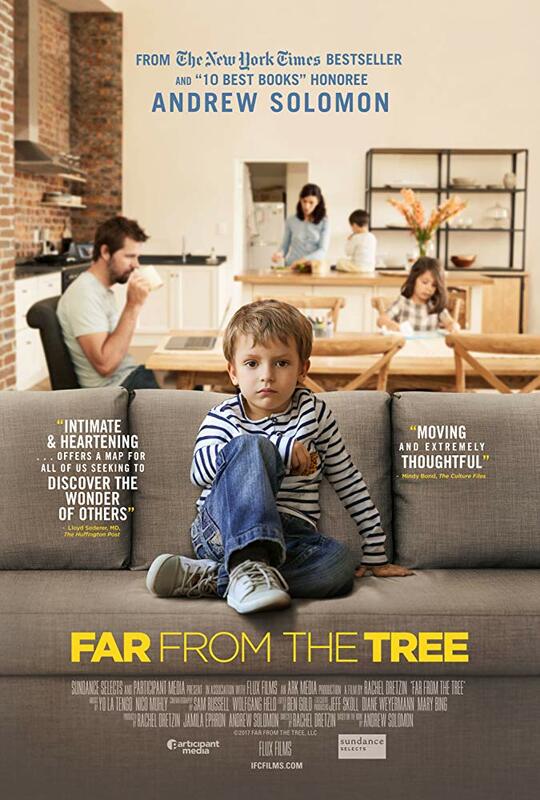 Overall, I found Far From the Tree to be an incredible look into the lives of these families – a chance at something the viewer may or may not have ever had in the past. Although there are hardships (as there are everywhere), I found it quite inspirational to see how these individuals flourished in the face of adversity and continue to make strides at living the best life they can.